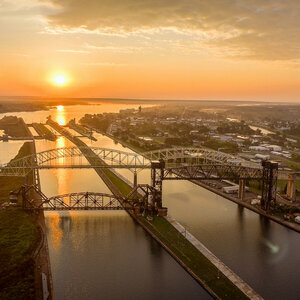 See seven provinces and five states in this cross continent tour. 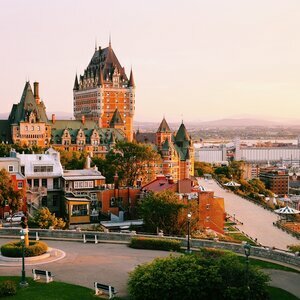 From the history of old Quebec City to the postcard like beauty of Prince Edward Island this relaxing 25 day tour has it all. Don't think bus tour think motorcoach luxury with panoramic windows. We’re heading East! 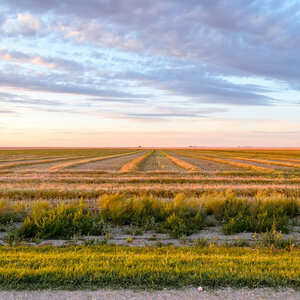 Farewell Saskatchewan; hello Manitoba! Leaving the prairies behind, we cross the border into Ontario. This evening you’ll attend a welcome reception with your fellow travellers. 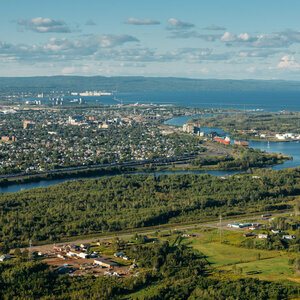 Today we follow the coastline of spectacular Lake Superior on our way to Sault Ste Marie. There will be plenty of opportunities to stop for photos along the way. We say goodbye to the Great Lakes and central Ontario as we make our way to Canada’s capital, Ottawa, our home for the next two nights. 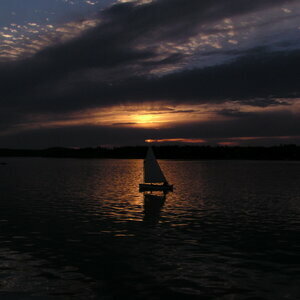 The evening will be free for you to enjoy. Our day starts with a city tour of Ottawa and Parliament Hill. After a busy morning snapping pictures, you’ll get a chance to relax onboard a cruise of the Rideau Canal. 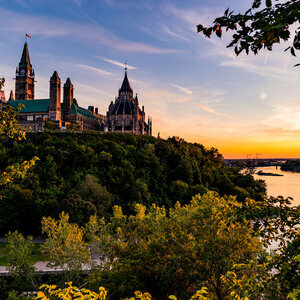 After crossing the border into ‘La Belle Province’ we head to Montreal where a local guide will take us on a city tour. Then on to Quebec City which will be home for 2 nights. We’ll start the day with a guided tour of this fascinating walled city, then on to Sainte-Anne-de-Beaupré. The afternoon is your own to relax or explore. 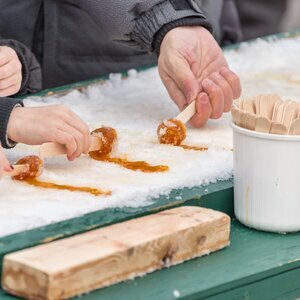 Dinner tonight is at an authentic Quebec Sugar Shack. 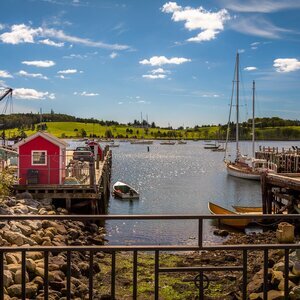 Today we’ll stop for a unique coffee break at St Jean Port Joli, famous for its wood carvers, and then on to Hartland, New Brunswick the home of the world’s longest covered bridge. 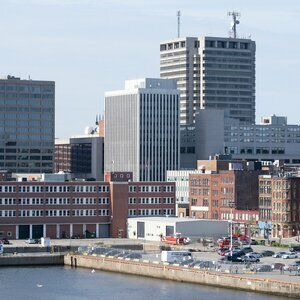 Next stop is Fredericton, where we’ll take a tour of the city before checking into our hotel. 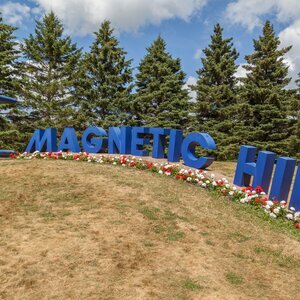 Our first attraction today is Hopewell Rocks and then a stop at Magnetic Hill in Moncton, where vehicles appear to roll uphill! 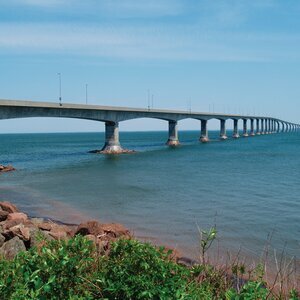 On our way to PEI, we cross the 13km long Confederation Bridge, then on to our hotel in Charlottetown for two nights. 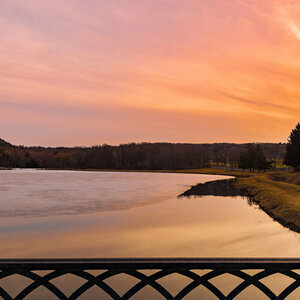 A local guide will show us around Prince Edward Island, including a tour of Charlottetown. Of course, no tour of PEI would be complete without a visit to the Anne of Green Gables house. 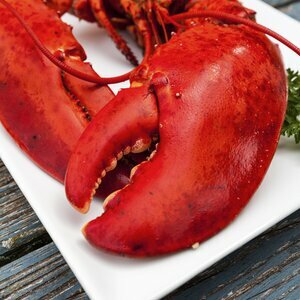 Your dinner tonight is in New Glasgow, where you will enjoy a traditional PEI Lobster Dinner (beef or ham is available if you are not a seafood lover). 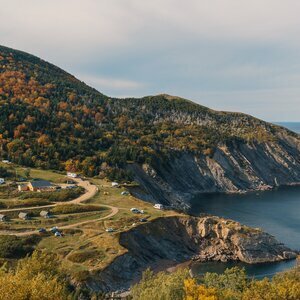 Today we take a ferry across Northcumberland Strait to Caribou, NS and then follow the beautiful coastline of Nova Scotia north to scenic Cape Breton Island on our way to Sydney, our home for 2 nights. 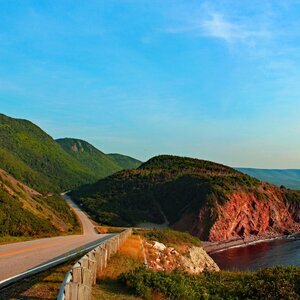 Today we travel the breath-taking Cabot Trail, the most photographed and scenic highway in Canada. There will be lots of photo stops along the way. 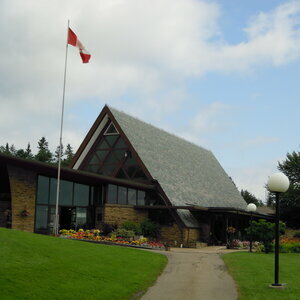 We will also visit the Alexander Graham Bell Museum today. 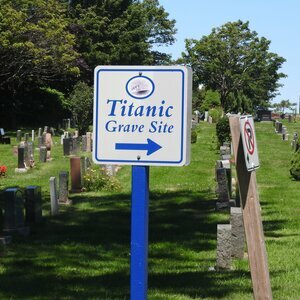 Today our city tour of historic Halifax includes a visit to the grave-sites of some of the passengers on the ill-fated Titanic. We will have a free morning today, and in the afternoon we visit the Maritime Museum and then on to the most photographed village in Canada, Peggy’s Cove. 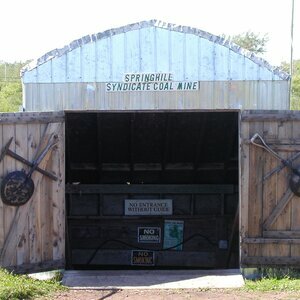 Today we leave Nova Scotia, after making a stop at Springhill, where we will visit the Miners’ Museum. 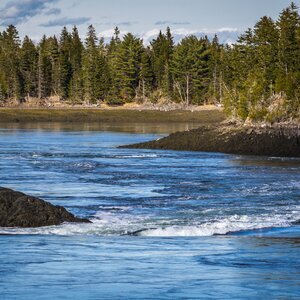 From there we head to Saint John, New Brunswick, where you will see the unusual Reversing Falls. 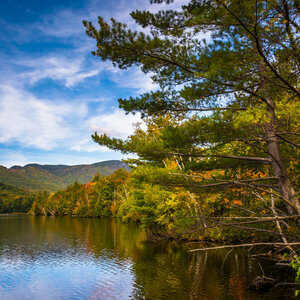 A short drive takes us to the White Mountain Forest Park and the Cannon Mountain Tramway. 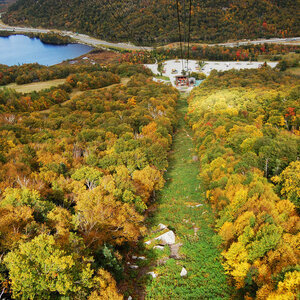 This areial tramway whisks you above the timberline to the 4,200 ft summit where you can see the mountains of 4 states and Canada. Your lunch is included today. We'll take a short ferry crossing on our way to Lake Placid, our home this evening. We arrive in Niagara Falls early today. 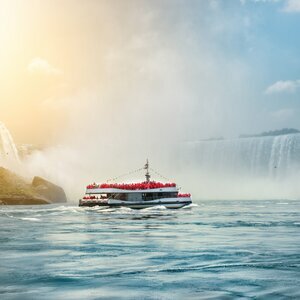 Prepare to get a little wet as you get up close and personal with the falls on the Voyage to the Falls Boat Tour. This sturdy vessel takes us to the base of the falls where the water thunders all around. These tours have operated continuously since 1846! 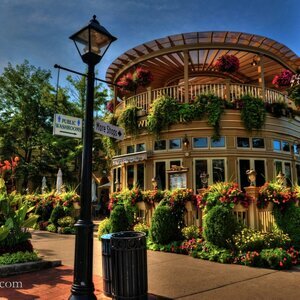 We will meet a local guide this morning for a tour of the town and Niagara on the Lake. Today we cross into Michigan and head for Frankemuth. This Barvarian-style town is home to an all year round Christmas store that boasts 50,000 ornaments. 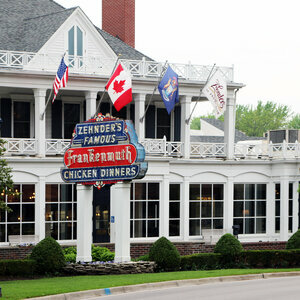 Enjoy some free time to explore Frankenmuth today. An authentic Barvarian chicken dinner is included this evening. We should see some great fall foliage on our way to Rockford. What a contrast to the glass towers of downtown Chicago. 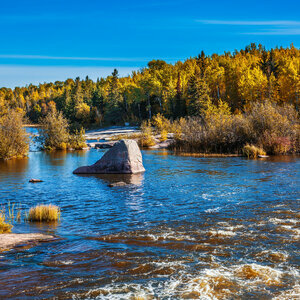 A visit to the Wisconsin Dells and a unique boat trip is on the agenda today before we head off to the Twin Cities. Join all your new friends tonight for our WestWorld Tours Farewell Dinner. We head north, back into more familiar territory. After a break at Duty Free, we cross into Canada. Tonight some of our passengers will be saying goodbye. The final stretch home for all the Saskatchewan bound passengers. Prepare your taste buds. 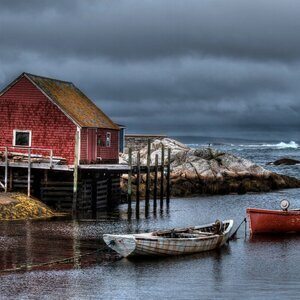 You can’t say you’ve been to Prince Edward Island unless you have tried their famous lobster dinner. 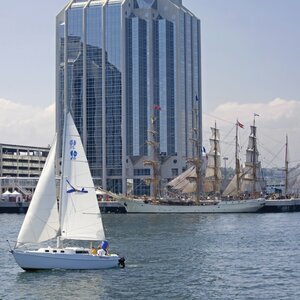 Immerse yourself in Nova Scotia’s rich maritime history. Did you know victims of the Titanic were picked up by boats from Halifax and buried in Halifax? 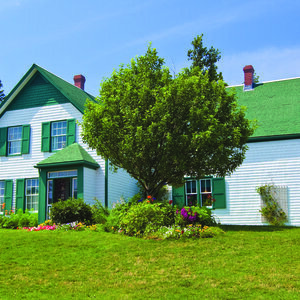 As the setting of the popular novel “Anne of Green Gables”, the Green Gables Heritage place is one of the most notable literary landmarks in Canada. Step into the life of the man who invented the telephone, Alexander Graham Bell. 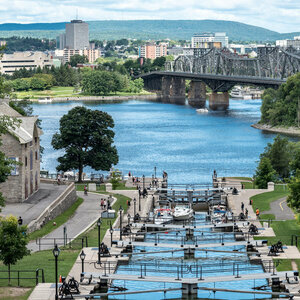 First opened in case of a war with the United States, the Rideau Canal is the oldest continuously operated canal system in North America. Connecting Prince Edward Island with New Brunswick, the Confederation Bridge is considered one of the top engineering achievements of the 20th Century. 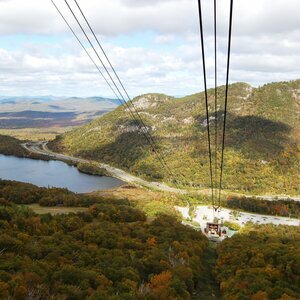 Enjoy the panoramic views of valleys and mountains on the first passenger aerial tramway in North America. Don’t worry its been updated! Surprisingly delectable, this maple infused meals will not disappoint your taste buds. Still in operation and marking the eastern entrance to St. Margaret’s Bay, Peggy’s Point Lighthouse is one of the most recognizable lighthouses in the world. 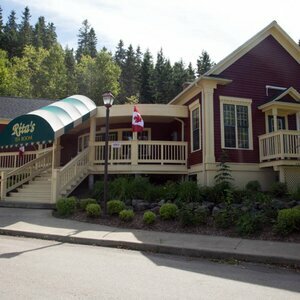 Enjoy afternoon tea in what used to be Canadian singer/ song writer, Rita MacNeil’s house. Biosphere 2 was originally built to demonstrate the viability of closed ecological systems to support and maintain human life in outer space. Who wouldn’t want to check this out? Don’t let your eyes fool you, down is not up! Home to the highest tides in the world, you will walk along the ocean floor, marvel at formations carved by tide and time, and explore caverns, all before the tides claim them for their own. Watch as some of the highest tides in the world collide with the Saint John River creating a unique natural phenomenon. 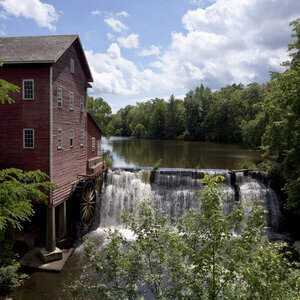 Take in the incredible industrial heritage of Springhill and its famous coal mine. 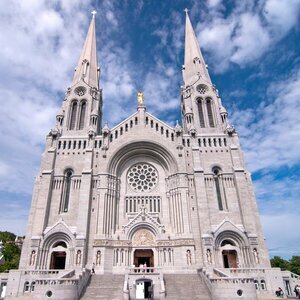 Wander through Montreal’s many neighborhoods, from cobblestoned Old Town with the Gothic Revival Notre-Dame Basilica at its core, to the bohemian Plateau. 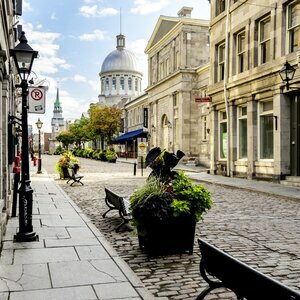 Positioned on the Saint Lawrence River Quebec City offers a rich history with stone buildings and narrow cobblestoned streets lined with bistros and boutiques. The picture-perfect example of seaside historic charm. Our Nation’s capital, filled with noteworthy museums and grand Victorian architecture. Sitting on the shores of Lake Ontario, this town is known for its wineries. Wander the tree-lined streets of old town taking in the 19th century architecture. The best way to experience food is with friends. Join all your new friends for a farewell dinner. 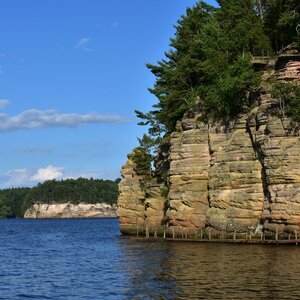 Glacially formed along the Wisconsin river, this gorge features striking sandstone formations that are best experienced by boat. Goodbyes are bittersweet. Make one last memory with your new friends by enjoying a meal and reflecting on the memories you made along the way. Barb and Garnet Hart from Weyburn decided that an excellent way to celebrate Canada’s 150th was to travel in Canada. They figured their best option was to sign up for the WestWorld Tours Maritimes All Coach Tour. “Garnet and I saw so much of Canada in one trip,” commented Barb. 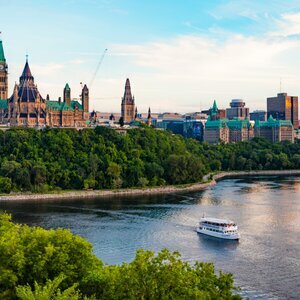 An epic journey that she felt started in Ottawa with visits to the Library of Parliament and to Parliament Hill, for the Northern Lights Sound and Light Show projected 30-storeys high on the backdrop of the Parliament Buildings. “After the show, we spontaneously stood up and proudly sang, O Canada,” said Barb. 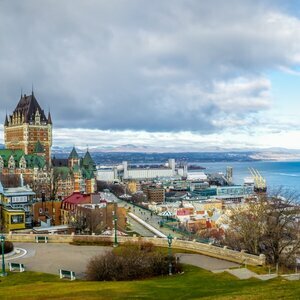 The adventure continued in Quebec City followed by a scenic drive along the Gaspe Peninsula to New Brunswick. 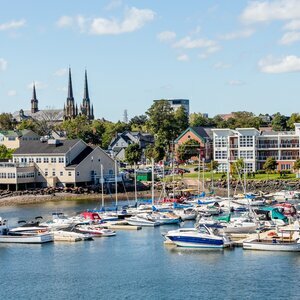 “In Fredericton, I enjoyed the most delicious bowl of clam chowder soup,” commented Barb. 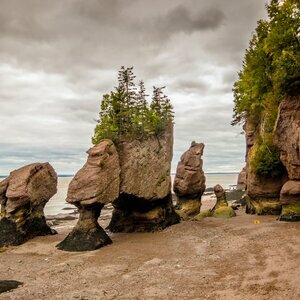 At Hopewell Rocks, Barb was amazed as she stood on the ocean floor during low tide. She also witnessed the Reversing Falls in St. John - a result of the incredible rise and fall of the tides of the Bay of Fundy. 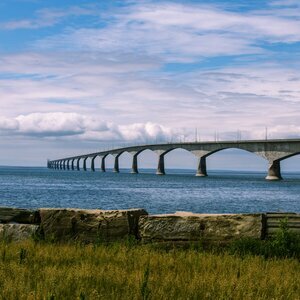 Crossing the Confederation Bridge, Barb and Garnet journeyed to Prince Edward Island (PEI), a picturesque province with its colourful fall foliage and well-kept houses. The Anne of Green Gables home was beautiful, as well as the beach at Cavendish where you could literally see for miles in both directions. Garnet remarked that the traditional PEI lobster dinner at New Glasgow was delicious. 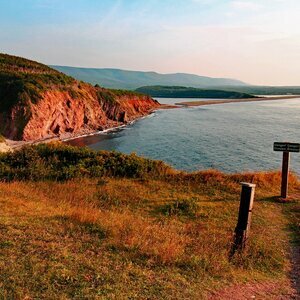 “I loved Cape Breton Island in Nova Scotia,” commented Barb. “The accommodations at Baddeck were cozy and it was so lovely there.” The Alexander Graham Bell Museum contained artifacts, exhibits and photographs of the renowned inventor. Garnet enjoyed the Cabot Trail excursion while Barb shopped around town. One of the many highlights was attending the local Cèilidh - a traditional Scottish or Irish social gathering with live music and plenty of dancing. On Barb’s must-see list was the stunning Halifax Public Gardens. The long walk to the Halifax Citadel rewarded the couple with a spectacular view of the city and harbour. On a guided city tour, they learned about the history of the Halifax explosion and the sinking of the ill-fated Titanic. 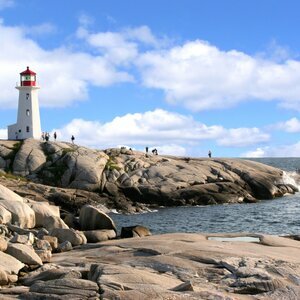 After a visit to Peggy’s Cove, they headed to Niagara Falls after several days travelling through the New England States and New York. Garnet was in awe of this remarkable force of nature. Watching a ship pass through the locks at the Welland Canal was another highpoint of the tour. Barb and Garnet were so impressed with WestWorld Tours that they have already booked another tour and can’t wait for the next adventure to begin!